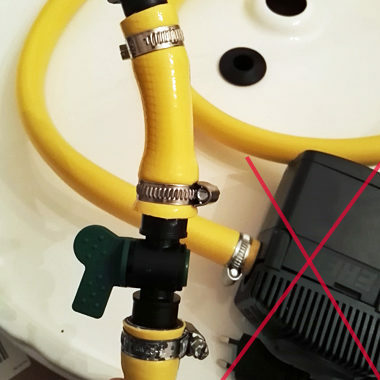 This is an accessory that you will need to set up liquid circulation on the standalone vertical barrel. 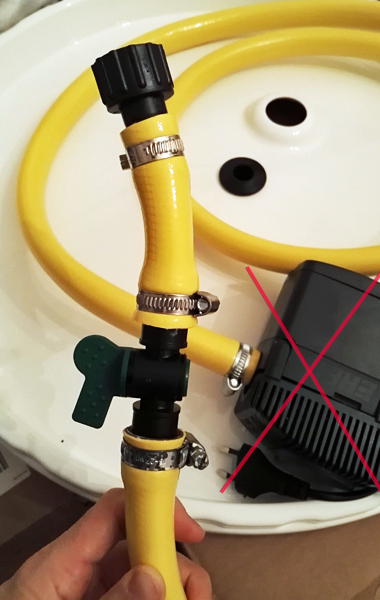 You will need a submergible aquarium pump (like this one). 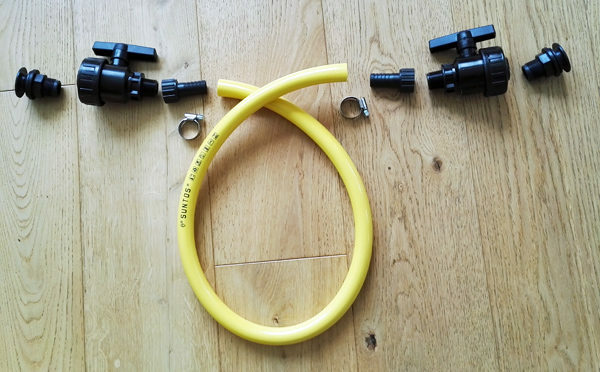 Since many users requested the ‘ready to run package’, we decided to provide also a 3/4″/17mm hose with metal clamps connections to a pump and an additional valve for fine tuning. 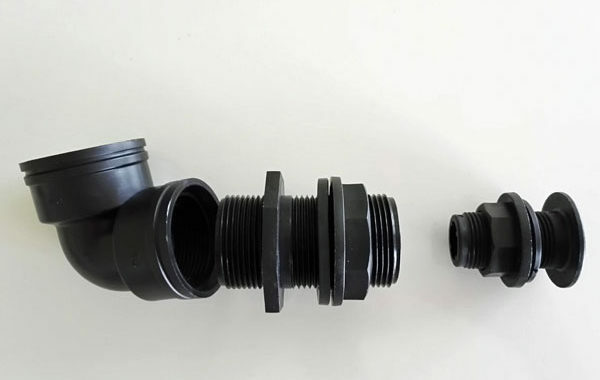 This connects the submergible pump with the top water buffer.